Frog Children's Books, 9781583940532, 32pp. William Kotzwinkle is the author of eighteen children's books, including The World is Big and I'm So Small, Tales from the Empty Notebook, The Nap Master, E.T. The Extraterrestrial and E.T. The Book of the Green Planet. His books for adults include The Bear Went Over the Mountain, The Fan Man, Fata Morgana, and Doctor Rat. He is the two-time winner of the National Magazine Award for Fiction and the World Fantasy Award. His books are published all over the world. Glen Murray is a supervisor for educational technology in New Brunswick, Canada. He spends a lot of time in schools where he often mixes business with pleasure by reading to elementary classes. He has written radio dramas for the CBC, as well as articles on Canadian history and technology. He recently worked with the Lung Association on their Flight for Life project, raising awareness from coast to coast about air quality and the environment. Audrey Colman is an artist and designer living in Berkeley, California. Her art has been featured in a variety of products from magazines, posters, and other print work to multi-media projects. This is her first children's book. She is also the author and illustrator of Francine, Francine the Beach Party Queen! Visit her art at www.goodartstudio.com. "Is there any reason to purchase this, besides the fact that kids will find it hysterical? The dialog is clever...and the art is quite ingenious. 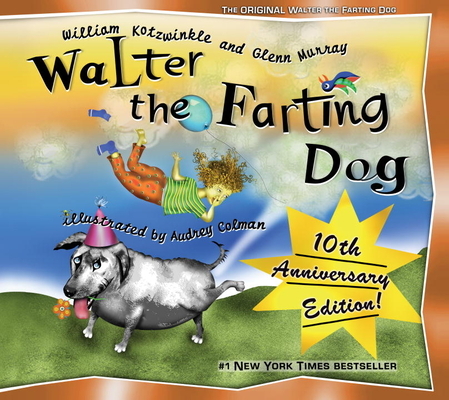 Seemingly computer-conceived characters—including Walter complete with a permanently abashed expression—are unique efforts, as are the smoothly colored backgrounds. All in all, it's a gas."